Commander of the Cybertron Elite Guard, Ultra Magnus is the most powerful Autobot warrior in the galaxy. He has trained for hundreds of years in all forms of fighting known on Cybertron and several other planets. No Autobot is more courageous, or more dedicated to the protection of all life and freedom. 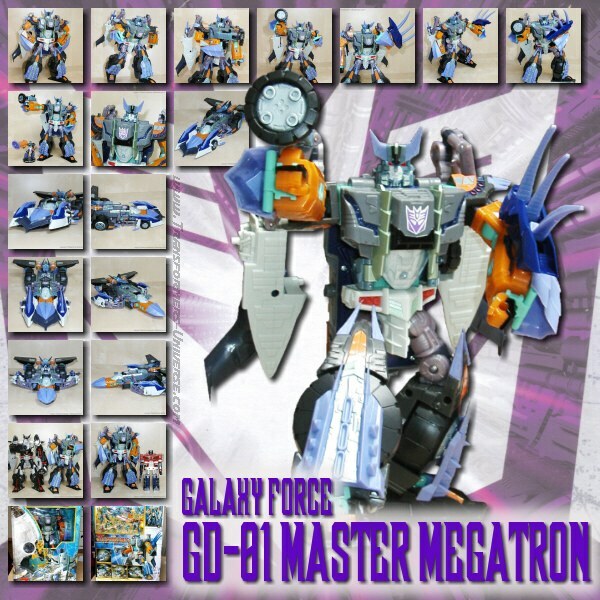 He is a master tactician who has never been beaten on a battlefield and was instrumental in driving the Decepticons from Cybertron and into deep space. Robot Mode: Ultra Magnus is one of but three Leader-class robots in Animated so far (not counting Repaints) and as such towers over pretty much every other toy from the line. He strikes a very impressive figure, no doubt about it. Resemblance to the original Ultra Magnus is minimal, of course. Only the head bears certain similarities, but that's pretty much it. It doesn't hurt him, though. He looks pretty cool. He's also a very posable robot, though I have to add that I really don't like his shoulder joints. They are cool as long as he keeps his arms down, but if he swivels them up -to strike down upon Decepticons with his hammer, for example- the joint is such that the arm now sits pretty far back. It's a side effect of his transformation design, but I can't help thinking that this could have been done a little bit better. It's not a knockout criteria, of course, but the one blemish on an otherwise great figure. Otherwise I really can't complain. Detailing is also quite good and Magnus is compatible with the Headmaster helmet, though no new soundbites there. Weapon-wise Magnus carries his big mass hammer, the head of which can extend sideways in order for him to do his Mighty Thor impression. Apart from that Magnus is also the very first Animated Autobot so far who has actual guns instead of just melee weapons. He can flip the two big cylinders from his back over his shoulders and extend cannons from them. Additionally there is a tri-barreled gun hidden in each shoulder which can flip out, too. And finally, there are two small gattling cannons in the front bumpers on the shoulders (though those look rather unimpressive). Magnus carries quite the arsenal, as befits the mightiest of all Autobot warriors. Finally Magnus also features sound effects. Pressing on his chest you can hear one of three soundbites: "Ultra Magnus here! ", "We must bring the Allspark back to Cybertron!" and "Don't be a hero, Optimus. It's not in your programming!". Also, Magnus features the classic transformation sound. That, though, caused me to take the batteries out first thing, as the sound is triggered by a very volatile trigger in his armpit, which pretty much causes the sound to be played whenever you breathe in Magnus' direction. Not sure if that's just in my version or a general problem, but I'm much happier now that the batteries are out (and my wife no longer threatens to throw Magnus out the window if that sound is heard one more time ;-)). So to sum it up: A pretty decent robot. With better shoulder joints he would have been pretty much perfect. Alternate Mode: Sentinel Prime chose the alternate modes for the Cybertron Elite Guard with the purpose of allowing them to blend seamlessly into an Earth city. Which is why Ultra Magnus transforms into a humongous armored troop carrier, a vehicle that you see regularly in every human city (once martial law is declared, that is). Apart from the disguise factor, though, Ultra Magnus' vehicle mode is nothing to sneeze at. A nicely sculpted vehicle, right down to individual rivets on the armour plates, with quite a few good details and no obvious flaws. Except for his hammer, which sits on the back of the vehicle, all of Magnus' weapons can be deployed here as well. The two cylinders can flip forward and extend their guns, while the smaller guns can flip out from inside the 'cockpit' of the vehicle. So while Magnus' vehicle mode isn't exactly a revelation as far as Transformers alternate modes go, it's good and solid. No complaints. Remarks: After decades of always being second banana to one Prime or another, Ultra Magnus finally gets to be number one in the Animated Series. He's the leader of the Elite Guard, the most powerful Autobot of them all. Okay, the fact that he picked Sentinel Prime as his second in command isn't exactly a point in his favour, but he is without doubt the most impressive figure in the Autobot ranks. Even the Dinobots ran from him when he raised his hammer. Just about the only bad thing one can say about this toy -unless your Marvel Comics' Thor and about to sue Hasbro for copyright violation- is that the shoulder joints are not the best and make Magnus' look distorted whenever he raises his arms above chest level. Apart from that, though, he's an excellent figure and completes my Elite Guard. Recommended to all Animated fans.